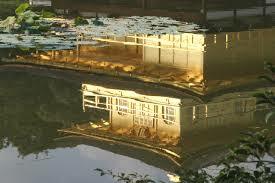 Kinkakuji is known as the “Golden Pavilion”, constructed in the 1390’s as Ashikaga Yoshimitsu’s (Shogun) Villa. 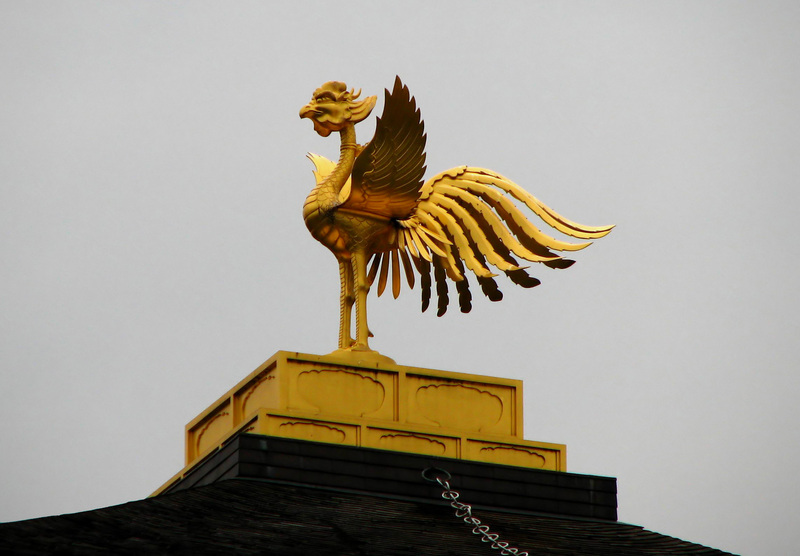 It incorporates three stories all coated in gold leaf with a bronze Phoenix on the rooftop. Kinkakuji twinkles against a clear blue sky due to its reflection from the calm pond surrounding the structure. The Golden Pavilion is also famous for appearing in the novel written by Mishima Yukio, in which the story discusses the burning incident of Kinkakuji in 1950.